Things have come full circle for Martin Bechthold DDes ’01, who joined the GSD in 1998 as a Doctor of Design student. Then, he was researching the potential of computer-aided design to manufacture complex surface structures. 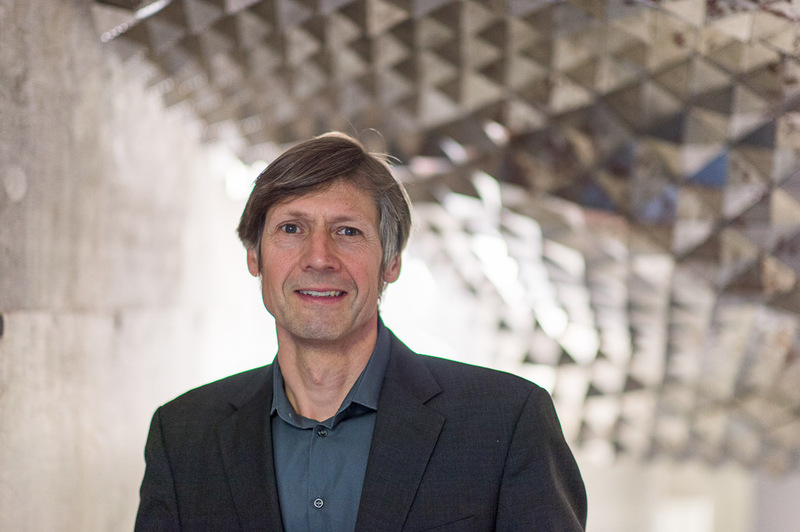 Today, Bechthold leads multiple research initiatives that exemplify successful collaboration between designers and scientists, and his foundational work in material science engineering has brought new possibilities to the field. 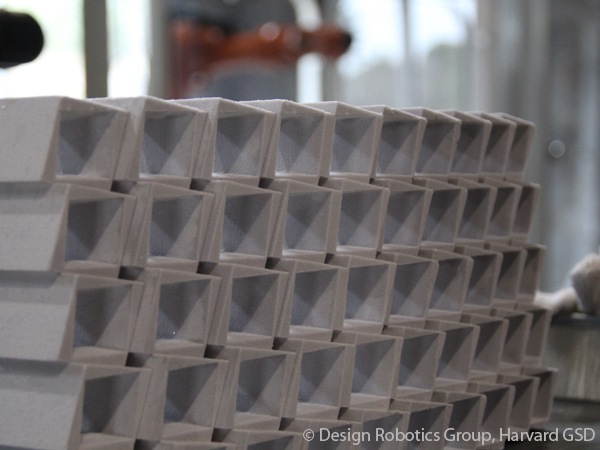 A 3D print of the wall design showcased at a robotics workshop exploring the concept of robotic casting. Conducted by Professor Bechthold, the workshop was the first of its kind ever held in Japan. 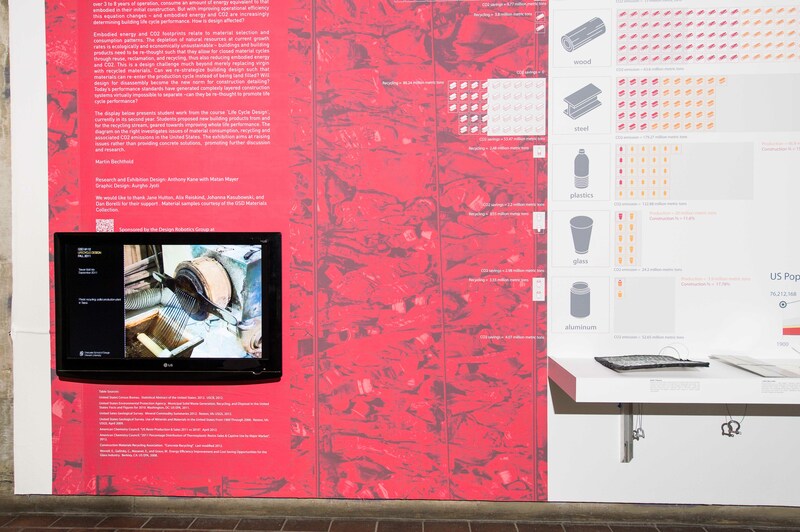 In partnership with the University’s Wyss Institute for Biologically Inspired Engineering, Bechthold’s Material Processes and Systems (MaPS) Group at the GSD explores the role of technology in fabrication and construction. Bechthold explains, “Part of our work is to translate Wyss’s nanotechnologies to the scale of buildings, in response to building issues and opportunities we identify.” The effort is done in conjunction with another research unit at the GSD, the Responsive Environments and Artifacts Lab. The GSD is committed to work that can help move important innovations forward. The School recently announced a Master in Design Engineering (MDE) degree program, which will be jointly administered with the School of Engineering and Applied Sciences (SEAS). The new MDE program will instruct students on developing and implementing responsive design solutions, and begin enrollment in 2015. Your contribution to cross-disciplinary research, or to the forthcoming MDE degree, will help us bring visionary design research into concrete practice.